Crown Hill Cemetery is a privately owned, non-denominational cemetery located in the north end of Seattle, Washington. We were founded in 1903 and have been proudly serving the community ever since. Meeting your family's' needs in a sensitive and caring way is our goal. We provide both Traditional and Cremation Burial arrangements and have thousands of spaces still available. We have Cremation Niches in our above ground Columbarium's and have individual & companion Urn Gardens for cremation burial. 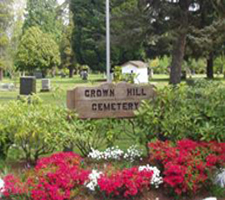 We are also one of the only cemeteries to still allow upright monuments. Crown Hill Cemetery truly is a country cemetery in the city. 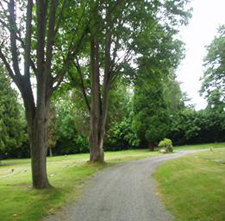 The shade of our majestic old maple trees provide a serene country setting just minutes from downtown Seattle. We provide a peaceful atmosphere for friends & family to visit and remember their loved ones.